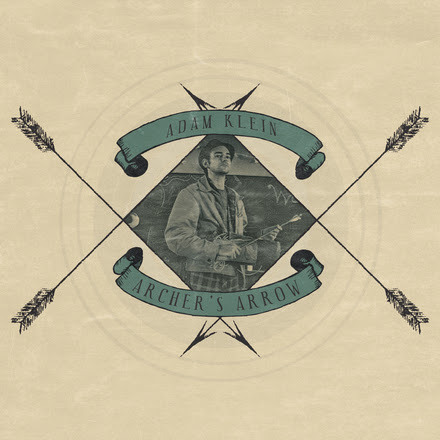 Bearing many story lines, Athen, Georgia-based renaissance man Adam Klein is set to release Archer’s Arrow, his follow up to 2013’s Sky Blue DeVille. 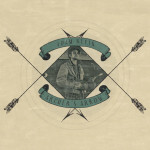 A decade-and-a-half in the making, Archer’s Arrow features songs penned by Klein during travels through Africa, India and North America over a ten-year period, which began to take shape in 2011 with the help of fellow Athens outfit Nutria (the former musical home of current Drive-By Trucker Jay Gonzalez). Originally recorded on the fly, Klein opted to shelve the project, hoping to add more nuance to his collection of songs. Following the release of Sky Blue DeVille, Klein has busied himself with acting as well as music, plying his secondary trade in various commercials, indie films and television pilots, including the forthcoming Amazon series, Zelda, featuring Christina Ricci. Teaming up with Stuart Cole and Eric Carlton of Jimbo Mathus & the Tri-State Coalition in 2014, Klein began reconstructing his eight original songs as well as a cover of Neil Young’s “Bad Fog of Loneliness” from 1971. Archer’s Arrow will see its official release tomorrow (22 September). Bucket Full of Nails is proud to premiere the video for “Radar Man,” the first single from Archer’s Arrow. Adapted from a poem written by Klein’s late grandfather, Dr. George Plutchok, a former professor whose CV included positions at Atlanta University, the University of Kentucky and the University of Pittsburgh where he served as Associate Dean, “Radar Man” features reworked words written by Plutchok while serving as a radio and a radar repair technician in the Philippines during World War II. A pop-leaning slice of Americana steeped in undocumented world history that serves as both tribute and musical calling card, you can watch the video premiere of “Radar Man” below.